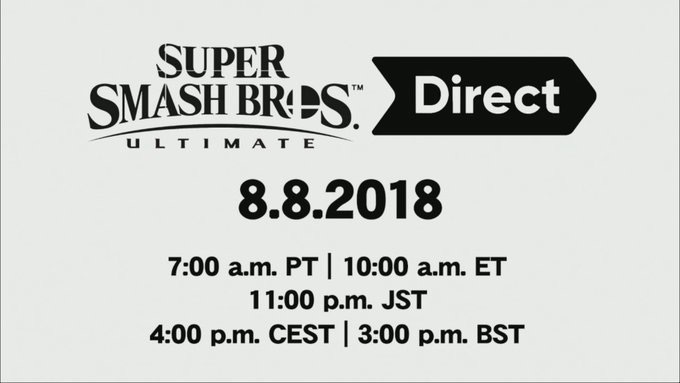 I guess we can do away with the old myth that Nintendo Directs can’t be announced on a weekend, because a Direct has been announced for next week and it’s all about Super Smash Bros. Ultimate. Viewers in North America, can tune in on August 8, at 7am PT & 10am ET. It is said the direct will feature new information straight from game director Masahiro Sakurai! Categorised in: Announcement, Feature, News, Nintendo, Nintendo Switch, Super Smash Bros Ultimate, Super Smash Bros.